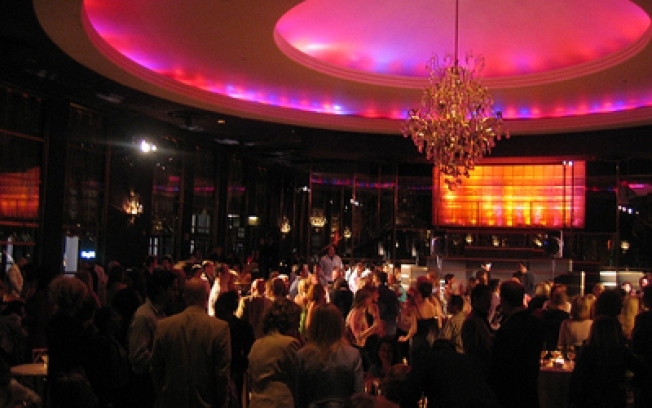 The Rainbow Room's owner went to court to avoid closure. The owner of the Rainbow Room restaurant and nightclub has gone to court to try to block its eviction from Rockefeller Center. Cipriani Fifth Avenue LLC on Monday got a restraining order stopping the eviction until a Jan. 27 hearing in Manhattan's state Supreme Court. Landlord Tishman Speyer Properties gave Cipriani until Monday to vacate the 64th and 65th floors of 30 Rockefeller Plaza, the setting for the NBC comedy hit "30 Rock." A Tishman Speyer spokeswoman said Cipriani has failed to pay its rent for the Rainbow Room since 2008 so its lease must be ended. Cipriani said it isn't leaving. It calls the eviction notice a "frivolous" attempt to convert the Rainbow Room's venue into expensive office space. In a statement, the restaurant group said "Cipriani successfully obtained an injunction today preventing Tishman Speyer from taking any further action to terminate its lease for the Rainbow Room. Cipriani is encouraged by this validation of its rightful occupation of the historic Rainbow Room and will continue to serve our deserving customers. We have commenced a lawsuit against the landlord due to their frivolous attempt to evict us." Court papers said Cipriani pays $6 million a year for the space.